Lemons. They’re natural, stimulating and, without doubt, true superstars in the citrus world. Not only do lemons heighten our enjoyment of foods and beverages, but they also play an important role in our beauty routines. Their natural benefits are legendary. Rich in calcium, vitamin C, magnesium and potassium, lemons help improve the appearance and condition of our skin, hair and nails. If you’re looking for a fresh start for your skin, begin by treating yourself to our Lemon Lift Facial. Lemon benefits your skin by acting as an antioxidant, astringent, stimulant and hydrator, giving it a bright, tight appearance. You’ll love the results! Winter skin can feel dry and dehydrated. Our Lemon Seasonal Body Scrub rejuvenates, softens and restores the natural glow of your skin. Lemon contains alpha hydroxy acids that provide mild exfoliation and citrus essential oils that purify the skin while balancing and uplifting the senses. Because your nails deserve a touch of lemon, too! Join us for a Jane Iredale makeup event! Meet our regional makeup artist, Mimi Banasik. She will show you the latest tips and tricks for the season's hottest trends. $30 reservation fee for 30 minutes individual time with Mimi, then your fee covers $30 in Jane Iredale product purchases that day. The Wedding Savvy Summit is a consumer focused one-day educational conference designed for engaged couples and their families who seek to better understand the wedding market. Attendees will learn from top local industry experts about how to plan the perfect wedding using the most current tips and techniques as told by pros who know. Visit the Sadona Salon + Spa team to learn what's new in wedding hair and makeup. We're pleased to announce our first annual Spa Week happening from October 30 through November 5. We'll be featuring daily specials that you don't want to miss! Appointments are already filling up fast, so take a look at the specials below and book yours today! 10% discount for any of our "Pumpkin Spice and Everything Nice" services ALL WEEK LONG! 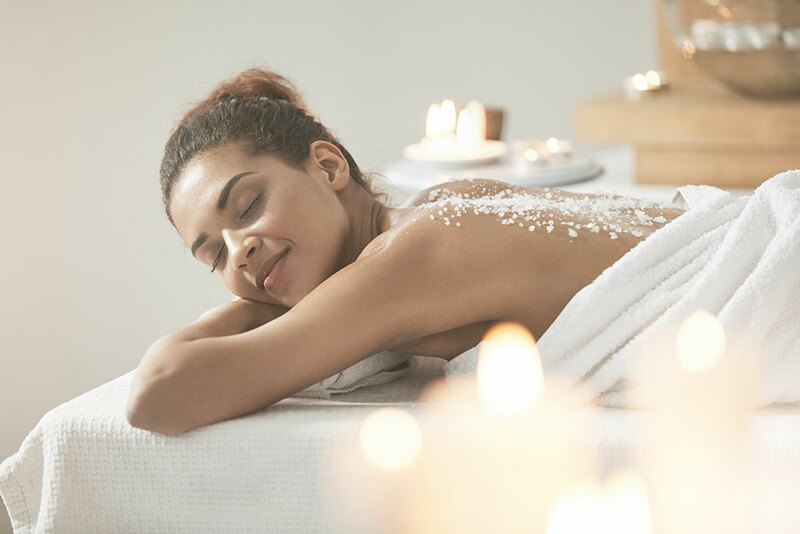 60 Min Pumpkin Spice Body Scrub, $165 (regular price) with Added Value "Take Home Pumpkin Sorbet Body Scrub and Pumpkin Mousse Body Butter"
Join us on Monday, October 30th from 4-7 PM as we celebrate our first year in business! Sadona is proud to have joined GiGi's Playhouse Annapolis in their "A Fashionable Afternoon" event on October 15, 2017 at the Historic Baldwin Hall. This inspirational event showcased beautiful individuals with Down syndrome modeling the latest in LuLaRoe fashion and raised over $7,500. Learn more about GiGi's Playhouse Annapolis here. In the Autumn-Winter 2017 issue of Skin Health Magazine, Sadona Salon + Spa owner Donna Brown gives you six tips for staying hydrated in the winter. See the full issue of Skin Health Magazine here. Sadona is proud to be mentioned in the Fall 2017 Issue of Her Mind Magazine.